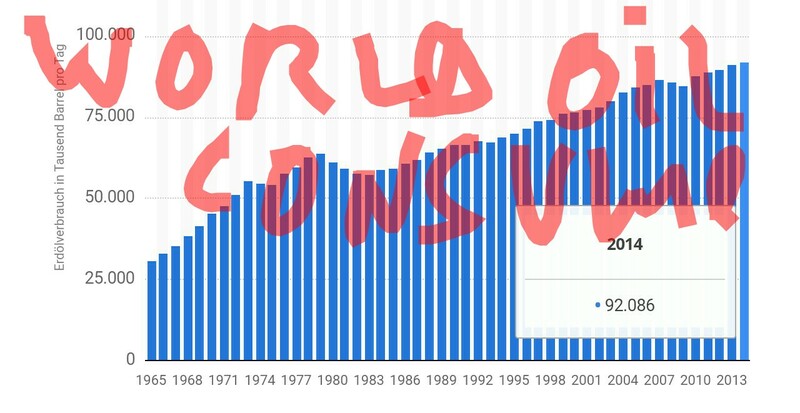 how much oil does the world consume 2014? The currently very low oil price of 50USD per barrel and less (target is 20$) does not only hurt Russia but also alternative and renewable sources of power and electricity. Is the US attacking Russia while destroying its own fracking industry to drive out last competition on the market? 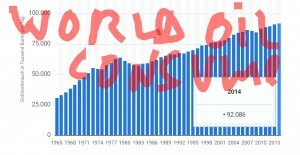 The demand for oil world wide is still growing so this does not explain the low oil prices. 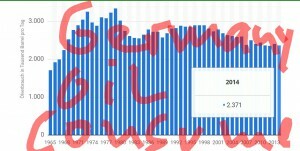 Oil consumption in Germany is not decreasing a lot, mostly steady. So the deal is: SaudiArabia does whatever USA wants and therefore stays in power – if they would „missbehave“ – they would be bombed and removed from power. Good dictators are the ones that do what USA wants.